The Division 2 is a “rock solid looty-shooty” according to our Brendan, and having now spent a fair amount of time playing it myself, I’d say I wholeheartedly agree. I’ve had a lot of fun swanning around Washington DC’s sunny wildlife haven, and I much prefer it to the snowy, flaming bin-lined streets of the first game. But it hasn’t all been shooting up museums and iconic DC landmarks. I’ve also been testing The Division 2 with a wide range of today’s best graphics cards to find out how to get the best settings on PC, and where you can cut corners if your graphics card isn’t quite up to snuff. 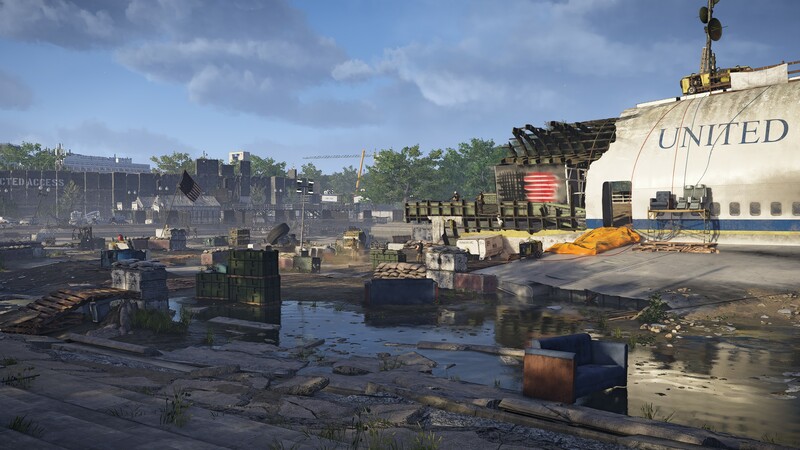 Thankfully, the good news is that The Division 2 runs like a well-oiled machine gun on PC, so even those with lower-end graphics cards should be able to get a stable 60fps without much trouble. Below you’ll find more general advice on how to improve the frame rate on your PC, but I’ve also updated this article with my usual crop of graphics card-specific analysis to show you what kind of quality setting you’ll need to use in order to get a stable 60fps. For the record, my PC had an Intel Core i5-8600K CPU clocked at 3.6GHz and 16GB of Corsair Vengeance 2133MHz RAM inside it, plus all the latest graphics drivers and Windows 10 updates installed. Click the links below to see how each graphics card fared. As mentioned above, the aim here is to get The Division 2 running at 60fps at 1920×1080, 2560×1440 and 4K. In most cases, it wasn’t too difficult to get running on decent quality settings, but I’d recommend following the tips below if you want to kick things up a notch in the old frame rate department. To test each card, I used the game’s built-in benchmark tool, which swoops across a variety of scenes taking place outside on the gun-ridden streets of Washington DC. This spits out an average frame rate figure at the end of the benchmark, and I found it was pretty bang-on when I compared it to the in-game frame rate during a normal session – at least when I was running about outside. Indoors, the frame rate was often much higher, as you’re not having to deal with all those lush environmental effects. Still, when so much of the game takes place on the streets, whether it’s running between objectives or engaging in small firefights and control point skirmishes, it’s important to have 60fps as a baseline here. If you do find the frame rate chugging a bit, though, read on to see how you can squeeze an extra 15fps out of it with just a couple of settings tweaks. The Division 2 seems to run pretty well even on some of today’s entry-level graphics cards, but if you find your graphics card is starting to drag its heels a bit, there are plenty of settings on offer to help you pull the frame rate up. Hop over to the Graphics tab in the Settings menu, for example, and you’ll find dozens of individual graphics options you can tweak, from the quality level of the terrain right down to the geometric complexity of in-game objects. One handy thing to try is to drop the Resolution Scale down to 85%. This effectively lowers the in-game resolution a bit and upscales it to your desired resolution, such as 1920×1080 or 2560×1440, while massively increasing performance. I tried it with a 6GB GTX 1060 on Ultra settings at 2560×1440, and whereas before I was only getting an average of around 39fps in its internal benchmark tool with the resolution scale on 100%, I managed to bump this up to 48fps by changing it down to 85%. I couldn’t really see any appreciable drop in sharpness, either, so this should definitely be your first port of call if you need an easy, instant speed boost. Another reasonably big graphics drain is Volumetric Fog. Now I know some people can be highly attached to the quality of their rendered fog, but whacking this down to either Medium or Low can claw back some vital extra frames. Taking my GTX 1060 again as an example, switching from Ultra volumetric fog at 2560×1440 down to Medium saw my average frame rate grow up another 4fps (taking it up to 43fps) while Low pushed it another frame up to 44fps. I know 5fps isn’t massive in the grand scheme of things, but combine that with an 85% resolution scale and I was able to get an average of 54fps – which is a damn sight better than 39fps! Meanwhile, if you’re finding the frame rate is swinging violently from one end of the spectrum to another, then you’ll probably want to enable The Division 2’s Frame Rate Limit option. This is slightly different to just switching on V-Sync, for while V-Sync will cap your frame rate at the maximum refresh rate of your monitor, the frame rate limit lets you cap it anywhere from 20fps right up to 200fps in increments of 5fps. It should also get rid of any unwanted jitter while aiming and shooting, too, according to Ubisoft. So if you don’t want to keep veering between 30-60fps, for example, you could set a limit of 45fps, or even lock it at 30fps if you really wanted to be on the safe side. Otherwise, adjusting individual settings won’t really bring about a huge amount of change unless you drop everything down by selecting a lower preset. I tried lowering the water quality, ambient occlusion, terrain quality and even the level of object detail one by one, but no single setting apart from the ones I’ve already described above really made a dent on that average frame rate. Still, gaining an extra 15fps from the tips above should be enough to get you moving in the mean time, and I’ll have more detailed information on how to get the best settings for individual graphics cards sometime next week. 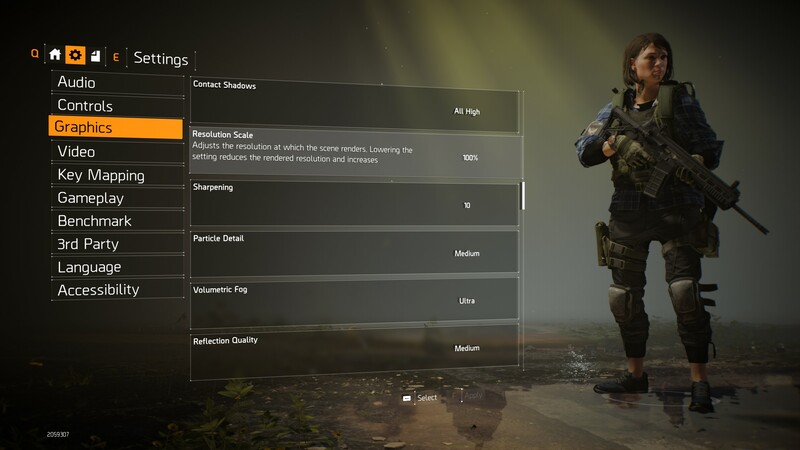 In the mean time, make sure to check out Dave’s extensive The Division 2 guide for all your essential tips and tricks on how to get ahead and level up fast. Tagged with feature, graphics card, graphics cards, Hardware, how much graphics does it have, Ubisoft, Tom Clancy's The Division 2.